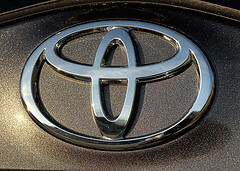 Only two weeks after a California jury sided with Toyota in a wrongful-death lawsuit related to claims of sudden unintended acceleration in one of its vehicles, a jury in Oklahoma City has found that the car-maker is to blame for a separate incident that killed a woman in 2007. Toyota has argued, in this case and others, that the cause of the accident was human error. But the jury heeded the plaintiffs’ claim that the acceleration was due to a fault in the electronic throttle system of the 2005 Camry, and that Toyota acted in “reckless disregard” to public safety. While Toyota has already paid out millions in settlements tied to claims of unintended acceleration, including more than $1 billion to settle a class-action suit against the company, this is the first jury verdict that has not gone in Toyota’s favor. Toyota has been ordered to pay $1.5 million in compensatory damages to the driver of the car, and another $1.5 million to the family of a woman who has killed in the crash. The jury will now deliberate on how much the car-maker should pay in punitive damages.